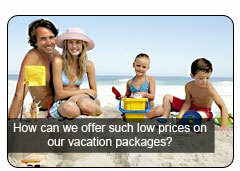 "Thanks for helping to make this one of our best family vacations yet!" Reschedules: You may reschedule your package at any time prior to 72 hours before your check-in date without penalty. Failure to appear for your scheduled reservation without notifying Exclusive Getaway Vacations will result in the additional charge of one night's rack rate to your credit card. 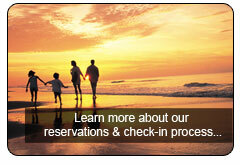 Simply click on the destination you desire and click on the "Check Availability" link to begin the booking process. How do the dining cards work? The dining cards are good at any restaurant or dining establishment in the city you are traveling to. They function just like a gift certificate and are treated the same as cash.